When a complete new product is launched it is important for potential customers to understand what they buy. Our light weight machine MS140 is completely new in many ways so we want to explain the functions and features of the machine. An important rule for technical products is: “The simpler the better”. How does it work / the principles. 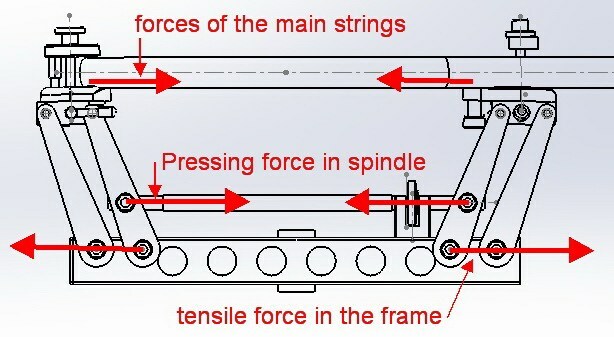 When the lever is lifted the spring is ”loaded with force” and the string is tensioned by this force after clamping the string in the tension head. The tension head is always locked in the starting position. On the L this lock is automatically released when a string is clamped, the N has a button to release the lock. The constant pull action is perfect and without overshoot. Because the system will always want to be in balance with the tension in the string, every small loss of tension will be compensated by the tensioner, resulting in a perfect constant pull action. A spring tensioner can not overshoot the tension like many electronic machine do. 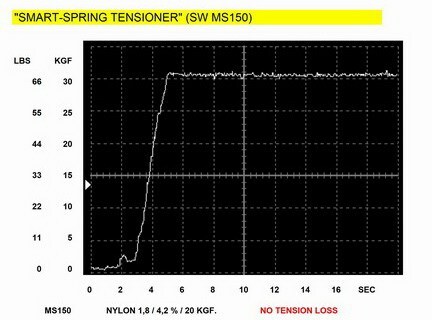 This graph shows how accurate a spring tensioner can work. It is very important that the springs do not loose force during their long life. Therefore the springs are “overdimensioned” for the force that they have to supply. This same principle was used in the footoperated MS200 and there are still machines in use built in 1992 without changing the springs. 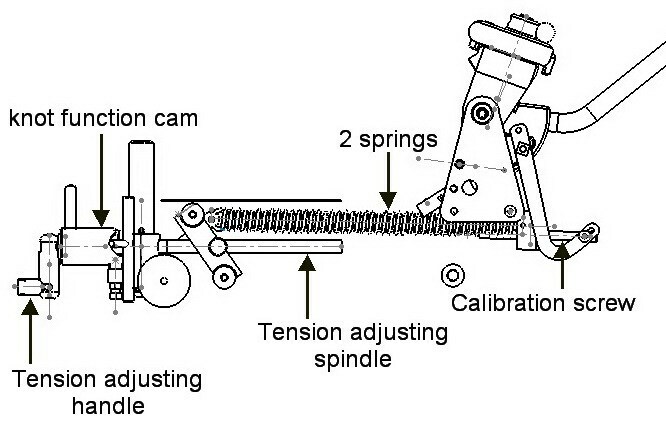 It is very easy for the stringer to calibrate the tensioner with the caliabration screw to obtain maximum accuracy. * The turntable with racquet support. The stiffness of the turntable. The main task of the racquet support is to prevent the racquet from getting shorter under the load of the tensioned main strings. With most cradles the “towers” are clamped on the main beam and the friction has to prevent the supports from moving inwards. 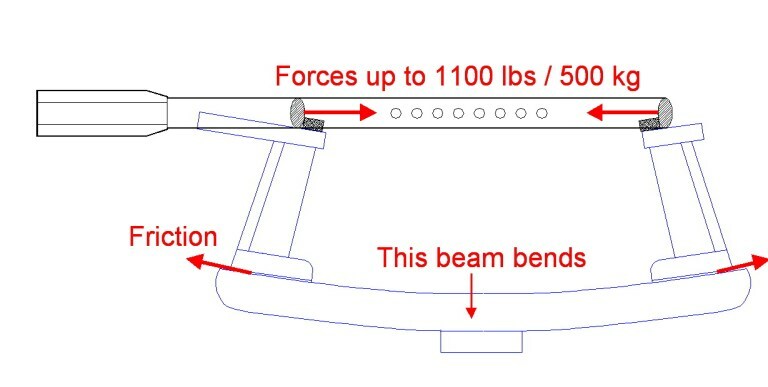 The forces of the main strings cause a bending load on the main beam, which will bend the beam under this load. On the MS140 cradle the forces of the main strings are transfered to the screw spindle by the guiding arms. This results in a pressing force in the spindle and pulling force in the frame of the cradle. Parts are much stronger against pulling and pressing forces than against bending forces. This is why this cradle is very stiff and much lighter. The screw spindle also makes it possible to adjust the racquet support very accurately at the size of the racquet head. Stringing machines have either direct or indirect racquet supports. 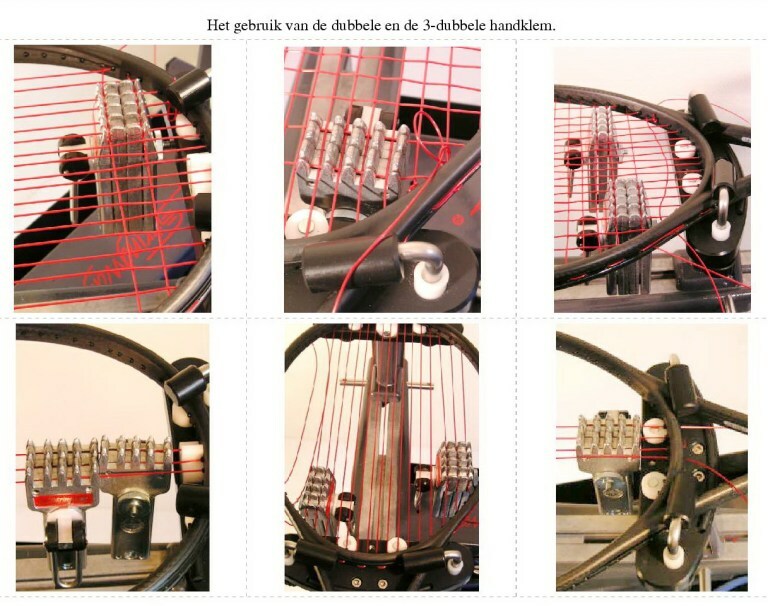 Direct supports work against the inside of the frame directly against the forces of the main strings. Indirect supports work against the outside of the racquet preventing it from getting wider. This graph shows the stress in the racquet material with different types of racquet supports. It shows that very simple 2 point inside supports offer a very good support and that with an outside (indirect) support the stress in the racquet depends strongly on the position of the supports. 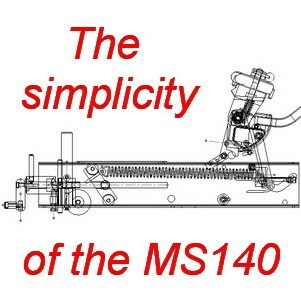 The MS140’s are supplied with Stringway flying clamps which are quite famous and are sold in large quantities to owners of other stringing machines. 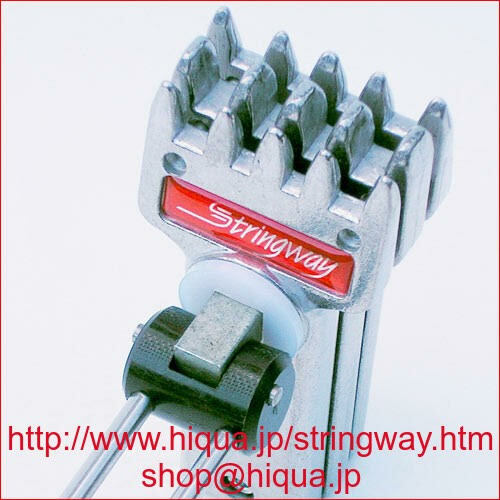 The quality of the clamps decide about the accuracy of the string job. Important qualities are to prevent the string from sliding and to minimize the movement of the clamp at the moment that the tension is taken over from the tensioner (drawback). The general opinion about flying clamps is that they lose more tension than fixed clamps, which is probably true for double flying clamps. 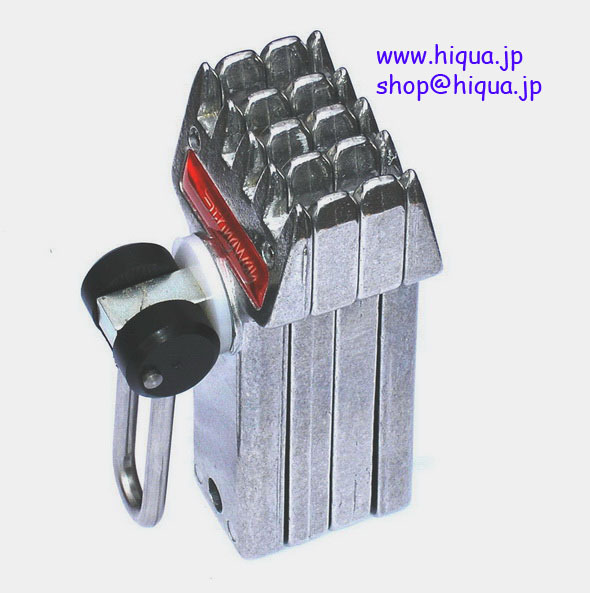 – The triple clamp clamps 3 mains at the same time so the drawback is smaller than with the double clamp. 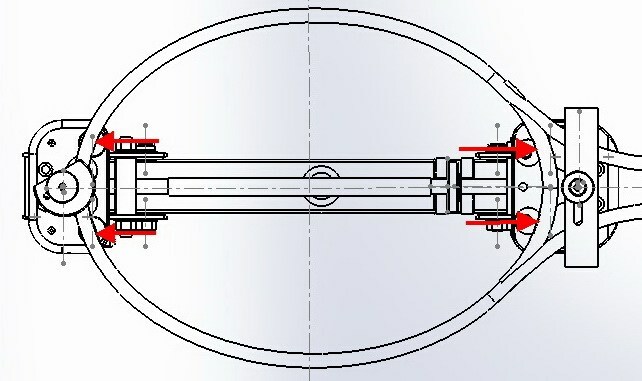 Compared to fixed clamp systems there is no “leak way” for the tension leaking a way to the guiding system. The MS140’s are available with triple or double flying clamps. This picture shows how the clamps are used in different situations. THESE ARE SOME GENERAL OPINIONS FROM USERS ABOUT THE MS140 light weight traveller. I'm happy owner of MS140 and I would like to put my 5 cents in. MS140 is compact, professional level machine with constant pull. 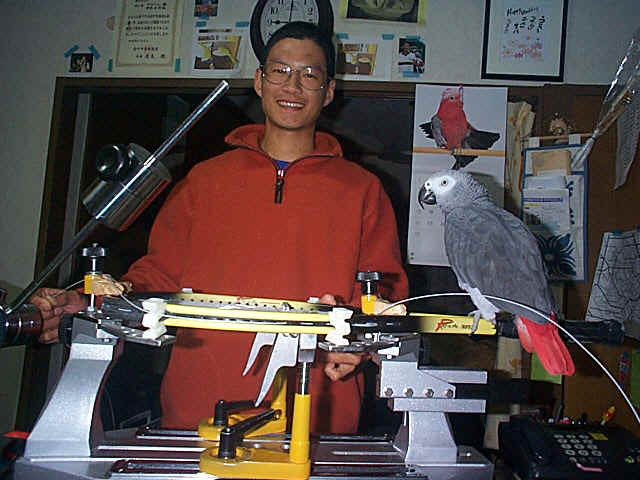 The machine is well built, easy to use and stringing results are very consistent. Fast clamp is a nice feature, but if you don’t like it, there is a version MS140 with the hooks. Price for Gamma X-ELS is over $1200 vs $600-$700 for Stringway MS140. Gamma X-ElS is 20 kg vs 7 kg Stringway MS140. Stringway flying clamps are better than Gamma clamps. I think the diamond powder on Gamma clamps is too aggressive for the strings. Stringway has outstanding customer service and I’m very grateful to Fred Timmer for his support and his patience. I agree, MS140 is an excellent stringer. I changed my mind about fast clamps. It took me some time to figure out how to use it properly. Ah, now I know what it is for! That'Ss an excellent idea, this machine is really “designed by stringers for stringers”! * Next time I use the string end holder and make note about it. Just a feedback to you that I did several stringing this week with the traveler machine and I find it really fantastic. Simple, fast and stable racquet fixing together with very reliable flying clamps and constant pull ! I feel that the stringer is very sturdy, and my first time using flying clamps. Glad I got the Triple and Double combination. Gisteren heb ik de bespan machine ontvangen waarvoor mijn dank; ziet er geweldig fraai uit. In English: Yesterday I received the stringing bespan machine for which my thanks; looks great. I have successfully strung 5 racquets and would like to give my brief feedback. Stringing was real pleasure, your clamps are amazing. I’m really happy with the machine. French agent: All 5 clients are pleased with their new machine, me too !!! Thanks Fred, a great job mate. Prettig bespannen op de traveler. En je kunt mooi zuinig bespannen het spanmechanisme zit dicht bij het racket. In English: Pleasantly stringing on the traveler. And you can string economically the tensioner is close to the racket. *As I mentioned to John, I think this portable machine will be an excellent solution for a multitude of players and racket stringers, it’s a truly great concept. I can envision customers purchasing this machine not only for travel but for home as well, it’s just a great marriage of efficiency, functionality and precision at an affordable price.